On April 7th-8th Bios Line participated in Natural & Organic Products Europe in London, UK, Europe’s biggest trade show for natural & organic products. We introduced Biokap, our leading brand abroad, with its Nutricolor Delicato Rapid hair dyes, which represent a real innovation in the field: an extremely delicate formulation, high percentage of natural ingredients and ready in just 10 minutes application time. (Italiano) Vi aspettiamo a Cosmofarma! (Italiano) “Lasciateci sognare”, un festival di danza come piace a Nature’s. We could not miss the 30th Sana edition, the international trade show for Organic and Natural products, that will take place in Bologna, from Friday September 7th to Monday September 10th . We will have many news ready for you: innovative food supplements and natural cosmetics, in order to constantly respond to the natural well-being and natural beauty needs in the best way. The most important players of the natural business meet at SANA, a chance for seeing the latest market trends that cannot be missed. Come and see us in Hall 25, booth B35. Bios Line is present at Vitafoods Europe Trade Fair in Geneva, the global nutraceutical event from May 15th to 17th 2018. 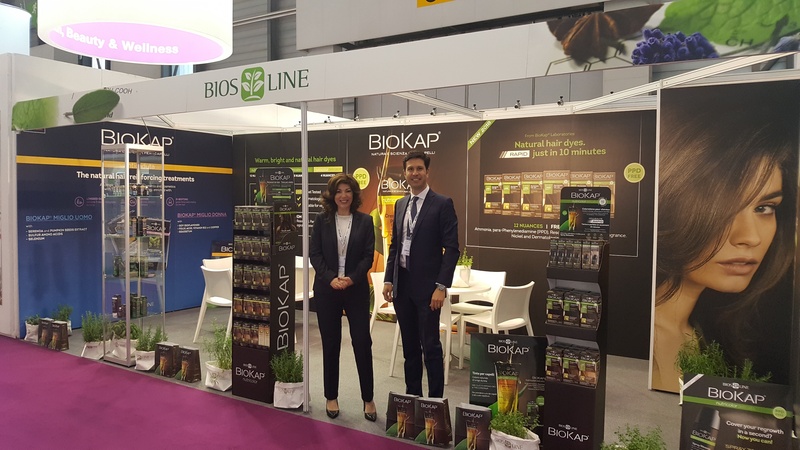 We are proud to inform you that Bios Line is present at Vitafoods for the second time; this is the most important European event dedicated to the nutraceutical business. This prestigious showcase will allow us to present our range of food supplements and natural cosmetics to the most important field players in Europe. We look forward to seeing you at Bios Line stand N58 in the “Finished products” section.